Wine Enthusiast announces the best wine related travel hotspots that offer something for everyone with a passion to explore beyond the glass. Among their top 10 is a boutique, emerging hidden gem, Temecula Valley Southern California Wine Country. The destination is the only California city that was selected, and California was one of only two North American states among the list. “It’s an honor to be selected among some of the best regions in the world. Though we’re a lesser-known destination, people are discovering our town and they are in awe over the experience. Whether its wine, food or customer service, we don’t settle for anything but the best,” says Kimberly Adams, Visit Temecula Valley CEO and President. Winery experiences include wine blending, behind the scenes tours, wine pairings, live music, Shakespeare in the Vines, wine workshops, yoga and wine, fitness and wine, painting and wine, cooking classes, wine country spa, inns and resorts, and dining. There are 19 wine country restaurants to choose from, all in picturesque settings and surrounded by vineyards. Only minutes from wine country are two destination attractions: Old Town Temecula and Pechanga Resort Casino. Charming Old Town Temecula is home to more than 100 specialty shops, breweries, wine tasting rooms and restaurants. With authentic atmosphere, museums, theater of the arts, and repurposed historical buildings, Old Town is a vibrant downtown. Pechanga Resort Casino offers guests 13 restaurants to choose from, a luxury 25,000 square-foot spa, 4.5-acre pool complex, 4,000 slots, 154 table games, championship golf course, and a 4,000-plus seat live entertainment venue for A-list entertainment. A three to five-night stay is recommended to experience everything the destination has to offer. Hotel, resort, bed and breakfast, and vacation rental choices are only minutes away from everything there is to do. Staying among the vineyards is an option at Carter Estate, South Coast Winery Resort & Spa, and Inn at Europa Village. Visitors can wake up steps away from the vineyards with hot air balloons overhead. There are also some great transportation companies that will pick up guests from where they are staying and take them on a half day wine tasting or brewery tour. 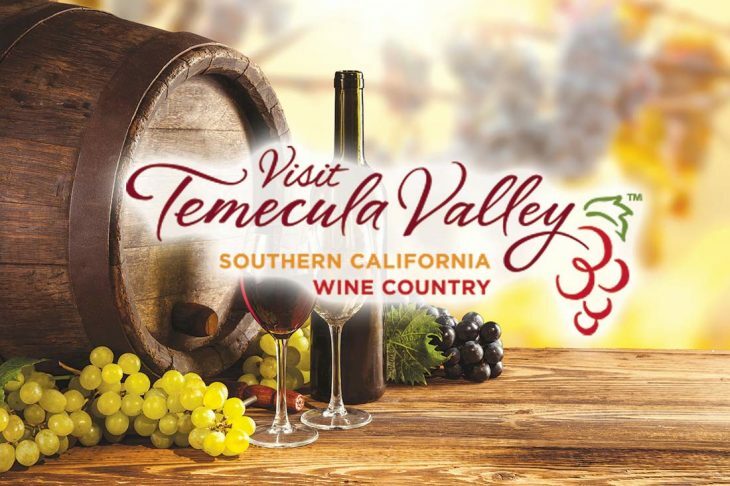 About the Temecula Valley and Visit Temecula Valley – Laid back, picturesque Temecula Valley Southern California Wine Country welcomes nearly three million visitors each year. It is a year-round vacation destination, located 60 minutes from San Diego, Orange County, and Palm Springs; 90 minutes from Los Angeles. Temecula Valley Wine Country is widely recognized for its scenic vineyards, award-winning wines, and experiential wineries. The popular boutique destination includes the Temecula Valley A.V.A. (American Viticulture Area) as well as historic Old Town Temecula and Pechanga Resort Casino. It also was named as a 2019 Wine Enthusiast Top 10 Wine Getaways.